This article was originally published by Blogging Shakespeare. It’s entirely possible that my thesis is giving me tunnel vision, but the way characters discuss the ‘wild, cruel, medieval’ magic of the Raven King in the BBC’s Jonathan Strange & Mr Norrell series is starting to seem eerily familiar to me. The terms being used are remarkably similar to what writers in the century and a half after the Restoration say about Shakespeare’s poetry. The ‘magic of the modern age’ championed by Gilbert Norrell in the Regency world of the Susanna Clarke adaptation is defined by its refinement, its restriction, its unwillingness to ‘meddle’ with powerful but dangerous forces. His polite, precise, bookish discrimination is associated with Georgian Englishness, a particular view of national identity which his magic is intended to further in the Napoleonic wars. Jonathan Strange, by contrast, is something of a Romantic: an untamed and untaught free agent, intent on exploration of the possibilities of the world and the self, the ‘mysteries and dreams of the past’, even if they lead him into madness. Strange draws his inspiration from the half-understood, controversial and dramatically unpredictable showmanship of a lost past master: the Raven King. These positions are staked out as the show’s key opposition, between modern and ancient magic. But they don’t exist in a vacuum: they arise from a hundred and fifty years of debate about art, poetry, and the powers of the imagination in the real society which inspired the show. These debates – about what English literature, and verse in particular, ought to look like – take shape at least partly in reaction to the legacy left by Shakespeare. Undeniably hilarious though this image of a tied-up (or shoe-wearing) dog might be, it shouldn’t blind us to Dryden’s message: wild and lawless forces can’t be allowed to roam free, because we don’t know what will happen. Shakespeare’s example, as an ‘untaught’ artist, is an especially dangerous one: it isn’t safe for him to be operating this kind of equipment. Dramatic theorist Thomas Rymer also described the ‘fancy’ as ‘wild, vast and unbridled’, and ‘art’ over the following century gradually came to be associated with restraining just this kind of unpredictable, free-flowing force. Playwrights such as Otway and Lee who tended towards older traditions were criticised as undisciplined, drunk on language to the point of madness. As Scipio comments in James Thomson’s Sophonisba (1730), ‘Real glory/Springs from the silent conquest of ourselves’, and the rational conduct needed to build and manage a global empire was seen partly to spring from self-restraint of the messy, disruptive emotions. The old magic – the unconstrained, liberated imagination – might still be possible, but if so, Norrell says, it would be best for everyone if we ‘let it alone’. 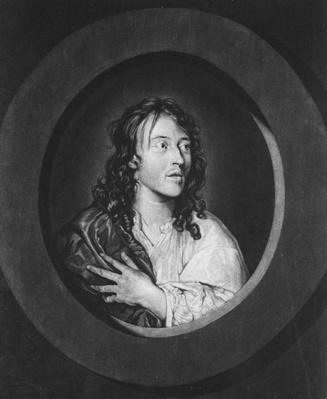 But in 1714, Alexander Pope mocked Nicholas Rowe for writing his play Jane Shore ‘professedly in Shakspear’s style; that is, professedly in the style of a bad age.’ Faced with this level of cultural resistance, it is easy to imagine writers wondering: what exactly was so ‘bad’ about it? What were the powers and resources they were being denied in the name of propriety and modern English restraint? By 1769, the tide was turning in favour of Shakespeare, led by David Garrick, the Drury Lane actor-manager who organised a Shakespeare Jubilee in his hometown, Stratford-upon-Avon, complete with Garrick himself reciting an Ode in tribute to this ‘blest genius of the isle’. The association between Shakespeare and Englishness is starting to take shape, though it would go through many further stages of negotiation. His heart ne’er knew but love, and gentleness, and joy. To tell the wonders he has wrought. And they, all foaming, trembling, own him for their Lord. For a moment, the most renowned poet in English history doesn’t sound quite as benevolent and uplifting a national symbol as Garrick might hope. Sitting on his demonic throne, surrounded by foaming minions whose dark forces he can unleash at will, he doesn’t sound a lot like a friend to England, or even a friend of English magic. He sounds a lot more like the Raven King. Whatever Happened to Verse Drama?